Hillary Clinton launched an astonishing public attack on Nigel Farage on Thursday – hours after he taunted her scandal-hit reputation as he campaigned beside Donald Trump. 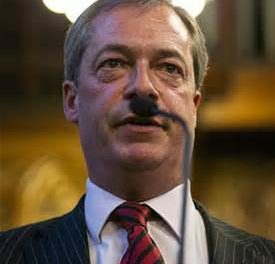 The Democratic presidential candidate used a speech attacking Trump and claiming he was linked to the KKK to launch an assault on Farage, whom she labeled as ‘one of Britain’s most prominent right-wing leaders’ – and accused him of being inspired by Vladimir Putin. 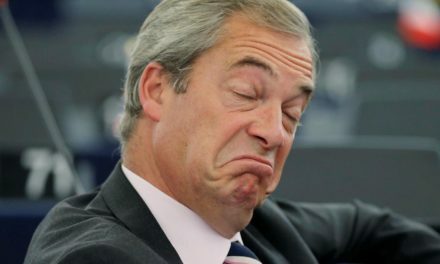 Farage had been hailed by Trump for his role in securing an anti-establishment victory in the British referendum on leaving the European Union. 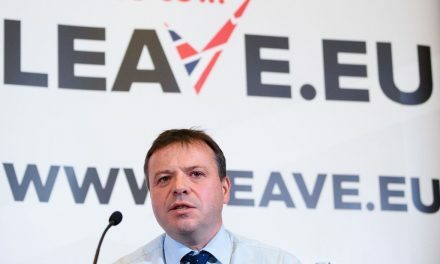 The former leader of the United Kingdom Independence Party (UKIP) was invited on stage by the Republican candidate in Mississippi. Although he declined to endorse Trump, saying he would not interfere in the U.S. election, he then drew applause and laughter as he said: ‘But I will say this, if I was an American citizen I wouldn’t vote for Hillary Clinton if you paid me. But the jibe clearly needled Clinton, who has recently been dogged by Trump calling her time at the State Department ‘corrupt’ and revelations of the access donors to the Clinton Foundation were given. ‘Just yesterday, one of Britain’s most prominent right-wing leaders, a man named Nigel Farage, who stoked anti-immigrant sentiments to win the referendum, to have Britain leave the European Union, campaigned with Donald Trump in Mississippi,’ she said in Reno. 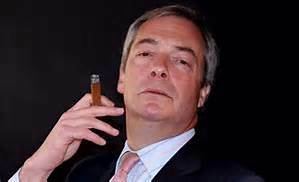 ‘Farage has called for a bar on the children of legal immigrants from public schools and health services, has said women – and I quote – are “worth less than men”, and supports scrapping laws that prevent employers discriminating based on race. ‘That’s who Donald Trump wants by his side when he’s addressing an audience of American voters. 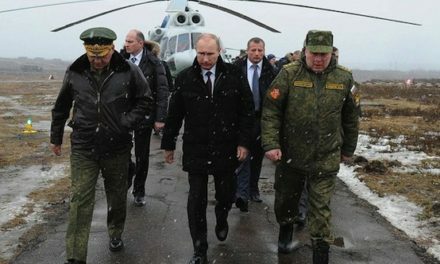 ‘And the grand godfather of this global brand of extreme nationalism is Russian President Vladimir Putin. ‘This is part of a broader story: The rising tide of hard-line right-wing nationalism around the world,’ she said. Britain’s vote in June to leave the EU – by 52 to 48 percent – left many observers, who had forecast a vote to remain in the union, astonished. 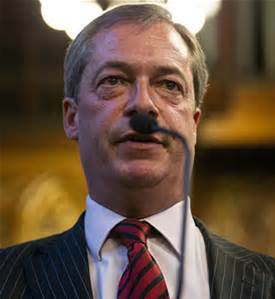 Farage attracted criticism for what was said to be anti-immigrant rhetoric in the run-up to the vote, including for posters showing long lines of immigrants apparently lining up to get into Britain. The posters, emblazoned with the slogan ‘Breaking Point’, actually showed immigrants queuing at the Croatia-Slovenia border. Trump was one of the few politician to back Brexit, and he has linked his and Farage’s causes before. On the day of the result he tweeted, ‘They took their country back, just like we will take America back’. Trump is looking to harness a similar anti-establishment vote to Farage. Clinton’s attack on Farage is an unusual tactic as foreign politicians are usually viewed as off-limits for candidates. And last year he said his party would not want the children of immigrants to be able to attend state-run schools immediately – suggesting they may have to wait for up to five years. The rhetoric of the 2016 White House campaign has become increasingly inflammatory. Clinton’s campaign has sought to link Trump with the Ku Klux Klan, releasing an attack ad showing a slew of Ku Klux Klan members and white nationalists supporting the Republican hopeful. Meanwhile Trump has accused Clinton of being a ‘bigot’, accusing her of taking the votes of African-Americans for granted.